As the world market leader in design, licensing and development of urea plants for the fertilizer industry, we apply our expertise, knowledge and experience for many solutions; fertilizer production technologies, emission reduction technologies and all technologies for the integration of urea and adjacent processes. Stamicarbon's LAUNCH™ series is a group of technologies, products and services that ensure an effective design and optimal development of a new urea plant. From the moment you start to investigate the possibilities of building a urea plant, there are several economic and technical choices to be considered. Stamicarbon will support you in this orientation phase and will be your partner throughout the whole journey of process design, project management through to plant start-up. 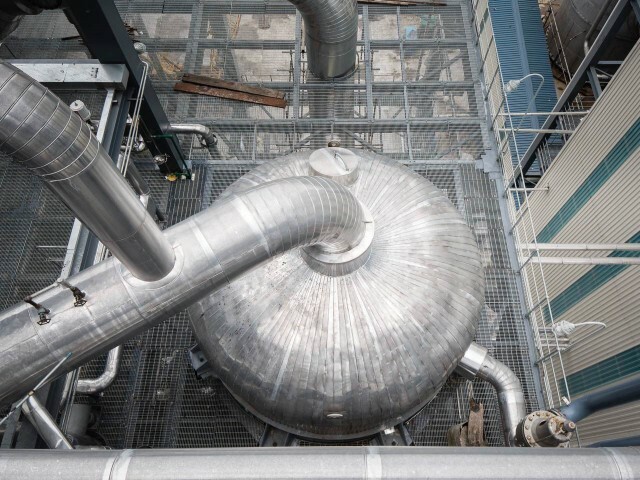 A fully-optimized urea plant has an extended life, increased output and optimized energy-efficiency, conforms to the highest safety standards and exceeds environmental regulations. Our ADVANCE™ series gives you a choice of product and service options for increased optimal plant performance. Our EVOLVE™ series provides you with the technology and solutions to upgrade your aging plant to the next level, once changes in circumstances require this. The EVOLVE™ series ensures your aging plant complies with changes in legislation and stays competitive by adapting to changes in market conditions. Our EVOLVE™ series includes products and services such as plant assessments, revamp studies, process design and debottlenecking. Facet Address » The full name of the country. © 2019 Stamicarbon. All rights reserved.